Long hair is gorgeous, and most of you long hair girls wouldn’t trade your locks for anything… except during the steamy heat of summer. 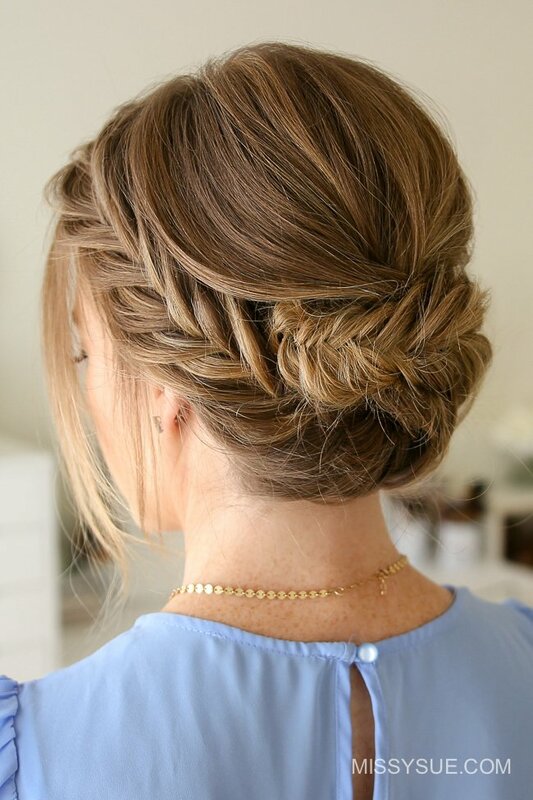 If you are looking for cute summer hairstyles for long hair, we’ve got the perfect solution for you… braided updos! Boho and trendy, romantic or wispy, all these hairstyle tutorials will get your hair up off your neck and face, but still look awesome. No more boring ponytails! (Not that we girls can’t rock a good ponytail too!) 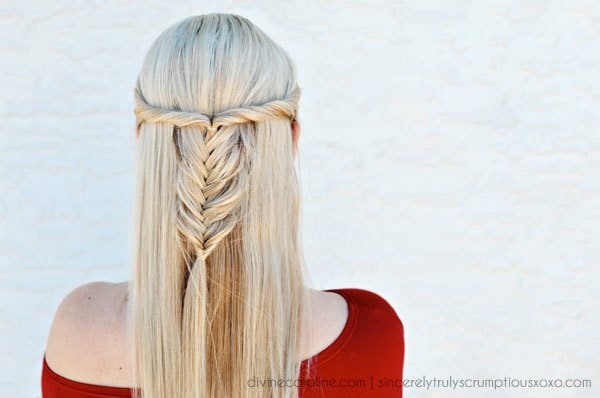 So give these pretty summer hairstyles a try… the tutorials make them easy! We’re going to start out with a couple of braided updo tutorials from one of our fav beauty and hair bloggers. 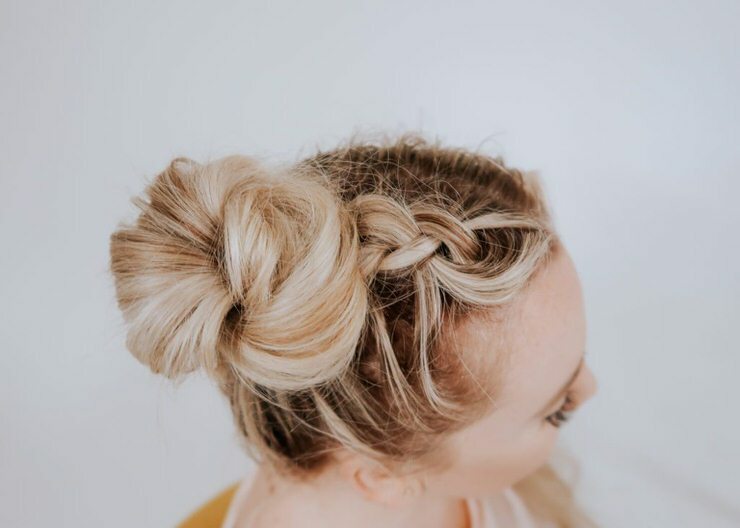 Kate at ‘The Small Things Blog‘ has a tutorial for this swept braid updo that is the epitome of a romantic summer hairstyle! She has great tips, step by step instructions, and a video. Also from Kate at ‘The Small Things Blog‘. 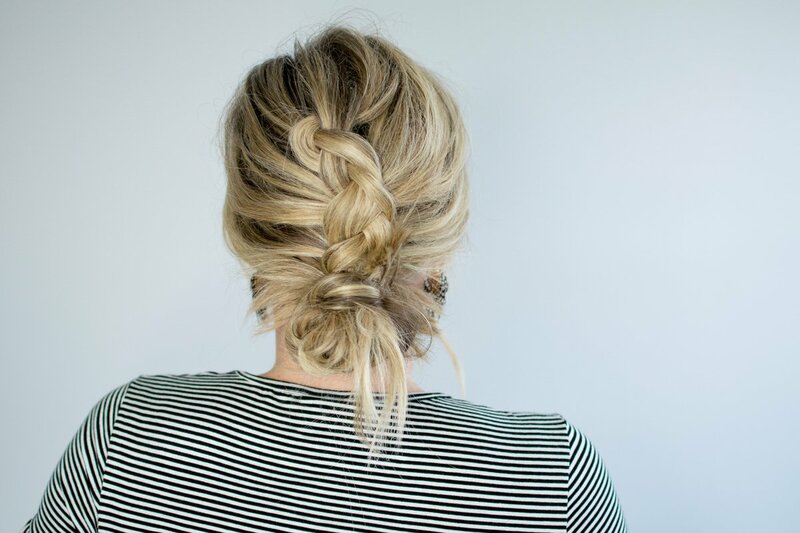 This one is a messy dutch braid bun tutorial, and it is a perfect summer hairstyle when you don’t want to wash, or when you just need to look polished in a hurry. She has a step by step video for this one too! 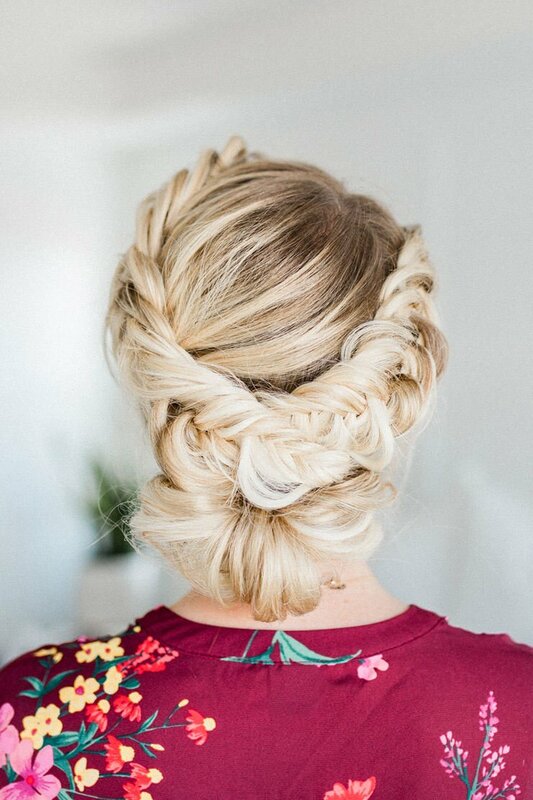 This double lace braids updo is perfect for summer date night! ‘Missy Sue‘ has a ton of great hairstyle tutorials, but this one is so special, but easy to do if you just follow the video! This tucked fishtail braided updo is also from ‘Missy Sue‘. (See, we told you she had tons of great tutorials! We couldn’t pick just one!) Special night out, or just for a summer day you want to feel pretty! A Dutch braided updo that even a beginner can do! This summer hairstyle is straight from ‘Byrdie‘, and they have lots of clear and easy to follow photos for each step so that you can do this too. Want a braided updo that is a little more “fun”? Try these space buns with a Dutch braid tutorial from ‘Positively Oakes‘. This is so cute, go check out the full look on her at her blog! Here is an easy braided hairstyle from ‘Hair Affairs‘. 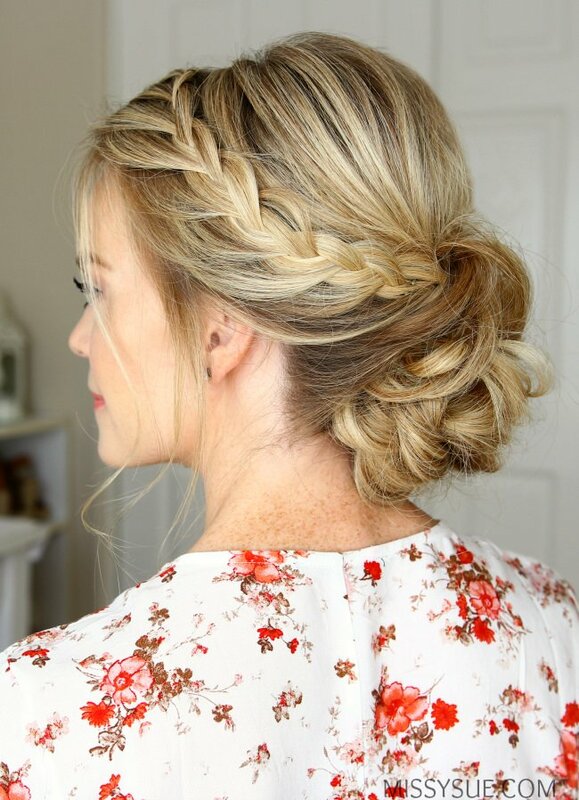 This 3 minute lace braided updo is the perfect summer hairstyle for long hair! Fast, easy and gorg! Try this horseshoe braided updo from ‘Cup of Jo‘. 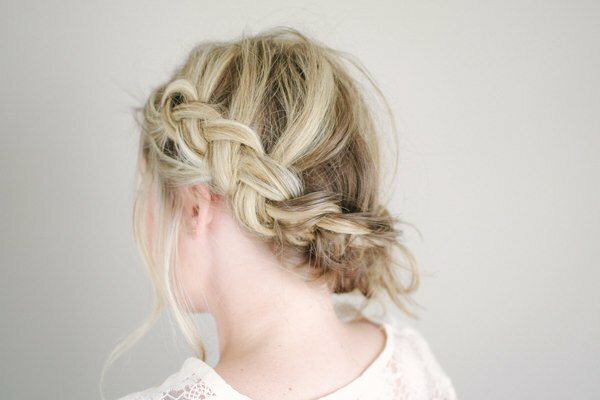 Another easy braided style that will keep your hair up off your neck, but still looks casual and yet polished. You can’t get this wrong with the step by step instructions of this tutorial. 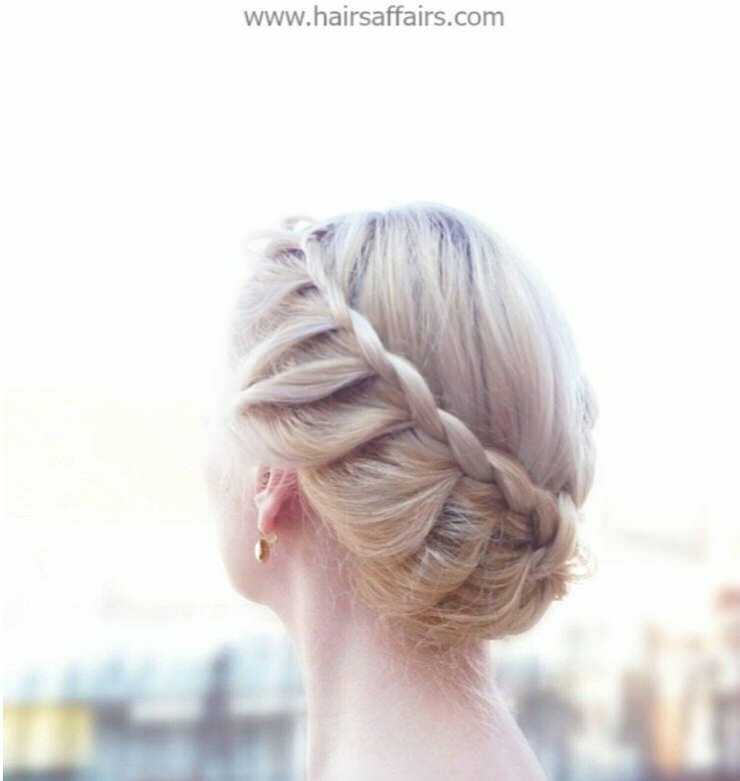 Want a summer hairstyle for a wedding, or a special occasion? This braided updo may look complicated, but it’s as easy as following the step by steps. From ‘Hannah Forsberg‘. This messy bun braided summer hairstyle is really versatile, because you can wear it as a braided updo, or half up, half down. From ‘Love, Maegan‘, this one also has a video tutorial. Want fast and beautiful? 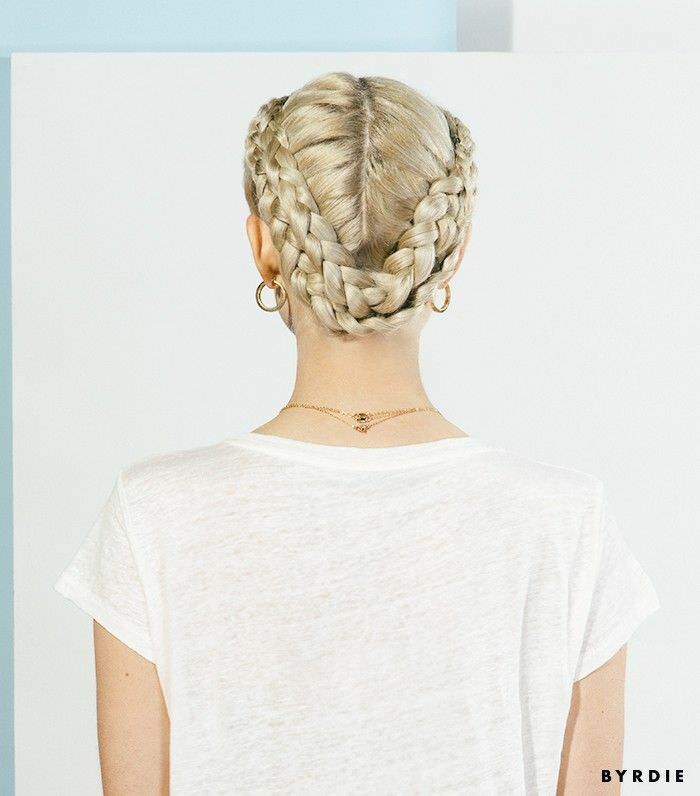 Try this 10 minute braided updo from ‘Paper & Stitch‘. 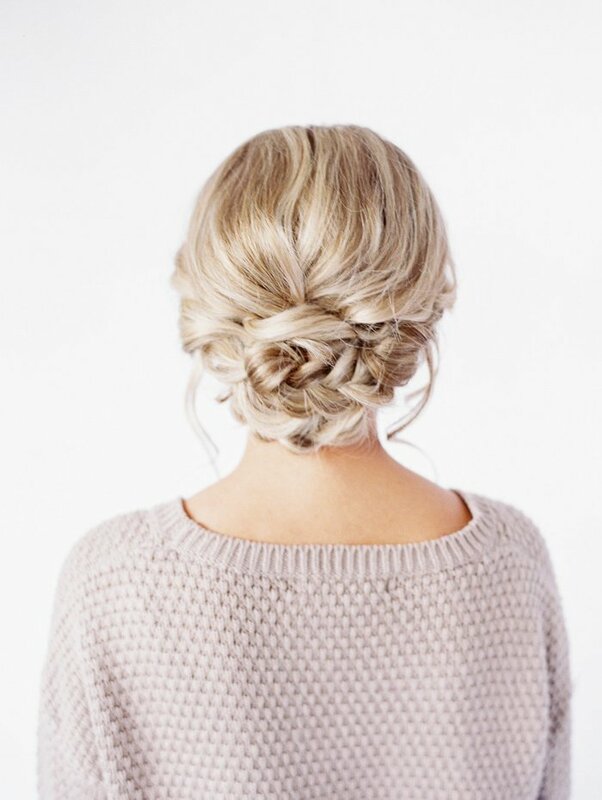 Love this perfectly imperfect messy bun style! 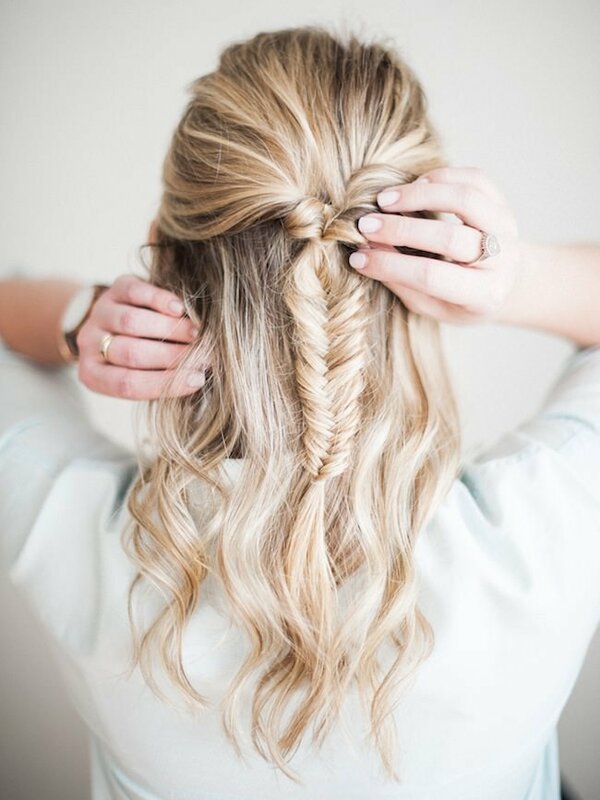 This lovely fishtail braided updo tutorial is a lot easier than it looks! Complete video tutorial, from ‘Twist Me Pretty‘. If you are looking for half up, half down braided updos, then we have some great choices for you. Once again from ‘Missy Sue‘ is this pretty half updo double braided wrap. 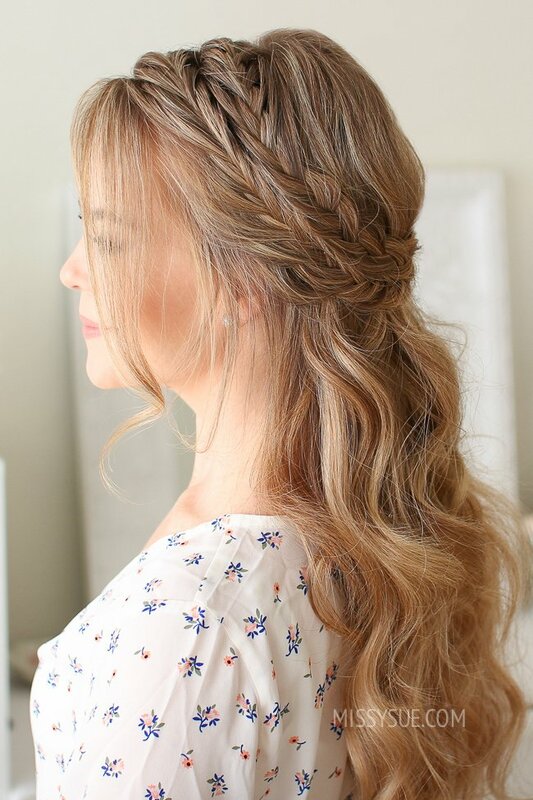 Great choice for a summer hairstyle for long hair when you don’t want it all “up”. Soft and pretty, but still keeps the hair off your face. 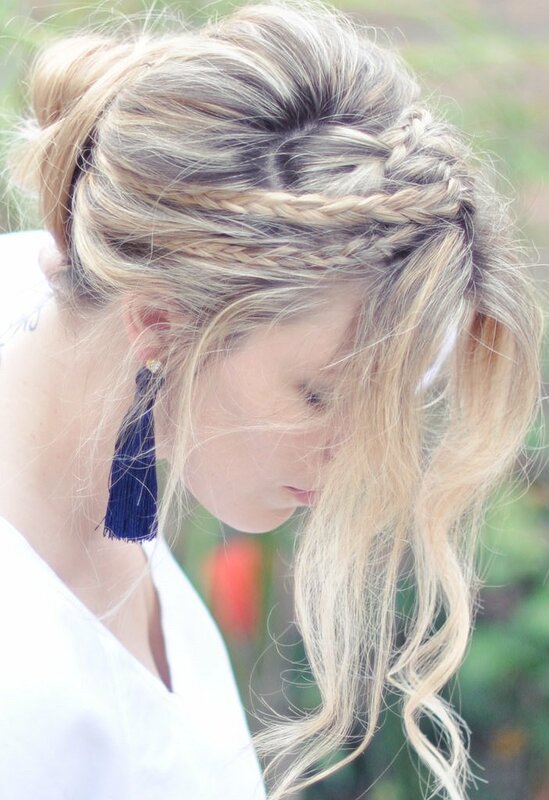 For a really simple half up, half down hairstyle, try this Boho fishtail braided updo from ‘More‘. So pretty! Finally, we have this cute half up fishtail braid tutorial from Jacquelyn Clark at ‘Lark & Linen‘. Easy, simple, fast, cute! 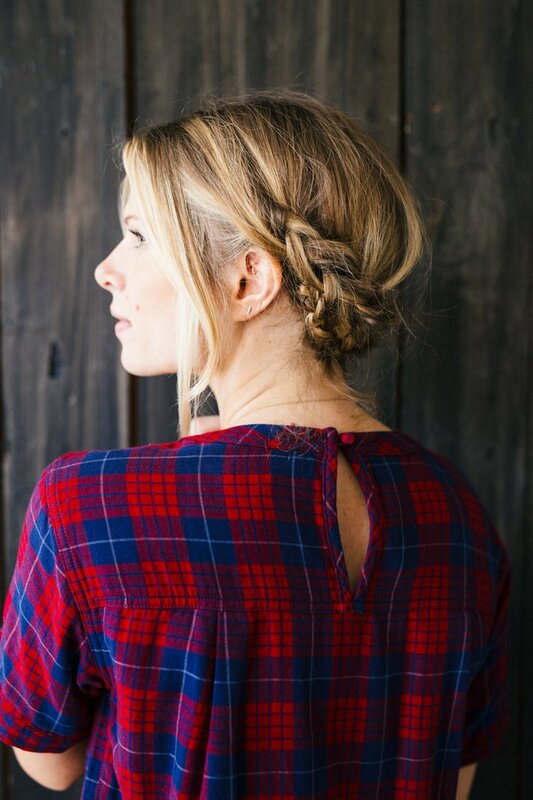 Do you have a favorite of these easy and pretty braided updo hairstyles? We can’t pick just one! We think you will also want to check out our posts on 15 Easy Messy Bun Tutorials and 20 Best Beauty Hacks & Makeup Tips!